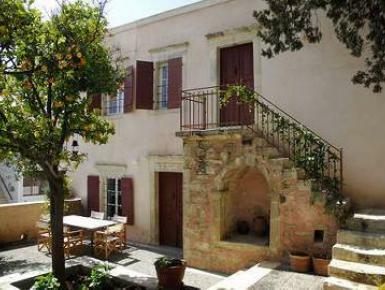 The House is located in the South of Crete, in the very beautiful, traditional area of Vori. It is close to both Festos – an archeological site, and the Livyan Sea. The village Vori is located in the South Crete, 60 km away from Iraklio. With the character of Cretan tradition in its own environment it can offer hospitality in all seasons and to everyone who likes to be close to the nature and is looking for a lifestyle away from the busy rhythms of tourist resorts. A building with special architecture. It is stone made, two-storeyed, high-ceiling, with a lot of daylight and can accomodate up to 6 people.